A search for the Master Builders of the Bodmin Moor Astronomical Complex of Stone Circles and Giant Cairns. All these immense structures were constructed over a span of only two centuries in an unprecedented period of precision building that suddenly flowered from the primitive peasant cultures. How can this sudden intellectual and imaginative leap be explained? This pioneering and controversial book persuasively argues for the appearance in prehistory of an advance elite, a race of master builders, who travelled the world guiding and directing indigenous populations with godlike assurance. 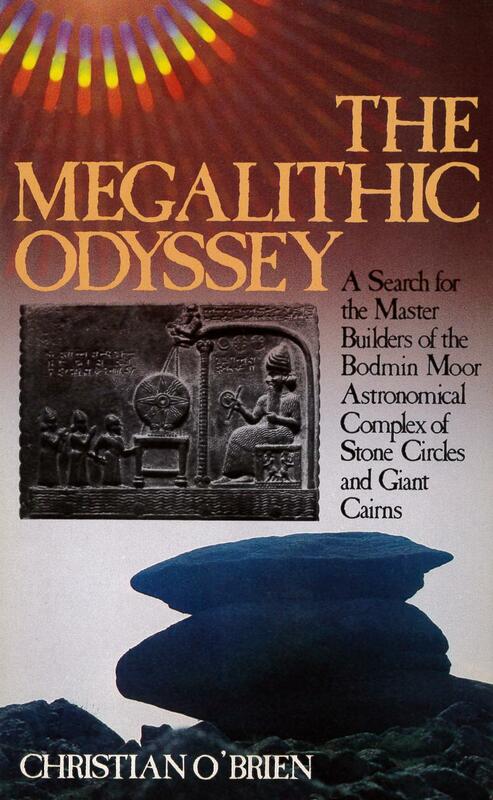 In the first part of the book the focus is an outstanding complex of astronomically aligned stone circles and giant cairns on Bodmin Mooor in Cornwall, discovered by the author and his wife in 1978. The second part follows the footsteps of the complex's designers from Cornwall back through Ireland and the Mediterranean to their pre-Sumerian origins in the Middle East. Based on extensive research and fieldwork, THE MEGALITHIC ODYSSEY raises questions and possibilities that have immense implications for the way we view prehistory.